Replacing the original Picture of my Dad's retirement. Yes, that was Reg but, as said, the rigging house was divided but which side you sat on, so we talk in passing but never worked together and we were in different groups for ship movements so never went out and worked together on docking and undocking ships etc. I can see Dangerfield (master rigger), Flash (inspector), Charlie (I was his assistant) and Dennis, remember some of the others but not well. Reg was a character and someone you would never forget. Is there anyone who remembers the rigging house, my old Dad was there for many years before he retired, I'd be glad to hear of any stories. His name Reg (Ginger) Pearson. I was sometimes taken down by him on a Saturday morning. They were a cheerfull lot, plenty of banter. worked there for 20 months before traveling to PAS (tugs) as a labourer. We all had a rigger, mine was Charlie, but I can remember Reg Pearson, he worked the other side of the rigging house to us and he had red hair. What I remember of him was that he was a nice chap. When we worked in the rigging house we were on piece work and there was always moans about the ex Sheerness men getting better paid jobs. Lots of the guys never like going out on ship movement, but for me they were the best times. Others would moan as they were losing piece work money. I worked as a semi skilled labourer in the Rigging house for a couple of years in the 1960s you started as a labourer then had to learn to splice to become a semi skilled labourer then you could go onto become a full rigger. The first part of the riggers test was to go to Bulls nose and climb the Captains mask and you had to walk out to the end of the yardarm this proved you could handle highs after that you could take the riggers test. As well as spicing we also used to moor all ships inside the naval base this was my favorite part even in winter the Master rigger or more often the Chief supervisor would call out and we would all pile into a bus and were taken to the place the ships were to more. We also did all docking and undocking's i was only there for about 20 months as i had a chance to progress to the tugs a move i made and never regretted. 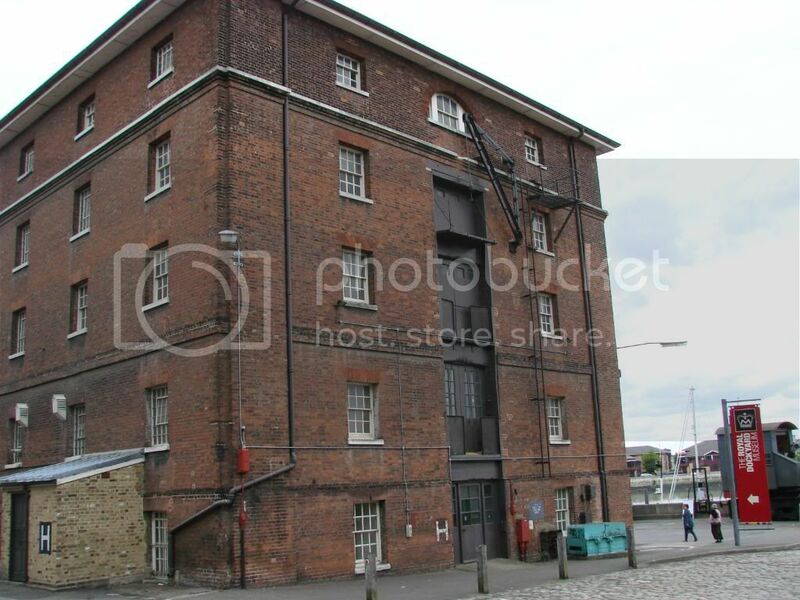 The rigging house had two floors only if i remember rightly nothing like the photo and i can remember the old riggers telling yearns that back in their days the master rigger used to wear a bowler hat to show his position of authority when on mooring or docking's jobs. The main thing i remembered was lunch times you eat your lunch had a cup of tea then all the lights went out and we slept for an hour the master rigger or chief supervisor would come out the office and make a noise using the vice on the first bench then the lights went on. End of lunch no we first made another pot of tea then started work good old CS days it was a great job. Thanks for the information all very interesting and I'll follow up on the link. Thank you for that decription was very interesting reading. My great great grandfather was the chairman of Riggers at Chatham dockyard as stated on the 1911 census, do you know if its possible to find out information about him or what his role would have been. His name was William Read. Fitted Rigging or standing rigging is the general name for the collection of pre-formed fabrications of rope which give support to the masts, booms, bowsprit and, ultimately, to the sails which drive the ship. Sets of these, which have been tailored to suit a specific sailing ship, were made and stored in the Fitted Rigging House. The Fitted Rigging, made usually from hemp fibres, was given a coating of pitch or "Stockholm Tar" as weatherproofing, after it had been tailored to suit a particular vessel, and stretched sets of such rigging were prepared for each new ship's construction and set aside until it could be set up or rigged on the ship's hull after launching. Consequently considerable space was required to store and house the many miles of rope involved. In 1780 the Admiralty ordered the re-building of the seriously dilapidated storehouses on Anchor Wharf. Work started at the southern end of the yard and in 5 years they had built No.2 Storehouse. In 1786 the Lords Commissioners of Admiralty came again to inspect facilities. One of their proposals was that the Rigging House be rebuilt and made big enough for the working of the largest shrouds now required for the increased size of warships. The building was declared finished and fully operational in 1805, being comprised of No.1 Rigging House and No.2 Storehouse. It was the last major building in the Dockyard to be based on wooden beams and supports. These massive one foot square columns were to be superceded in later buildings by cast iron pillars. Virtually all the timber we see in the building is the original, over 200 years old and is Baltic Fir. The Rigging House is a massive building, with walls four feet thick at ground level, rising 50 feet above Anchor Wharf, and 540 feet long. The internal working spaces are 45 feet wide on all four floors and total approx. two acres. The ground flooring was originally of timber planking, but was concreted in the late 20th Century and electric powered lifts installed with newer crane hoists attached to the walls. The Riggers were skilled men but not craftsmen. They came under the Master Attendant and later the King’s / Queen’s Harbour Master and later still the Captain of the Port. When the first Master Rigger was appointed in 1807 he was a Warrant Officer of the Royal Navy – a Bosun, and so a hierarchy was established that ran until the 1960’s when the first civilian Master Rigger was appointed. One of the main duties of the Master Rigger was the preparation of ‘Rigging Warrants’, and every warship had to have one. It was a document which detailed all the fitted rigging of that ship, and was signed for by the Captain of that ship on her first commissioning. It was checked again by the Master Rigger on return or to pay-off the ship. The first major warship to be launched at Chatham Dockyard without sailing rig was the Battleship HMS Hero in October 1885. She still had a Rigging Warrant which by now included all her wire guard rails, awning wires, davit and derrick hoist wires, as well as all her mast rigging. When the first nuclear powered submarines were sent to Chatham for a re-fit they still handed over their Rigging Warrants to be checked and verified by Dockyard Officers.